This is the book which started it all. The book which gave me an insight into the real stories behind the heroes who gave their lives for freedom while defending the nation. 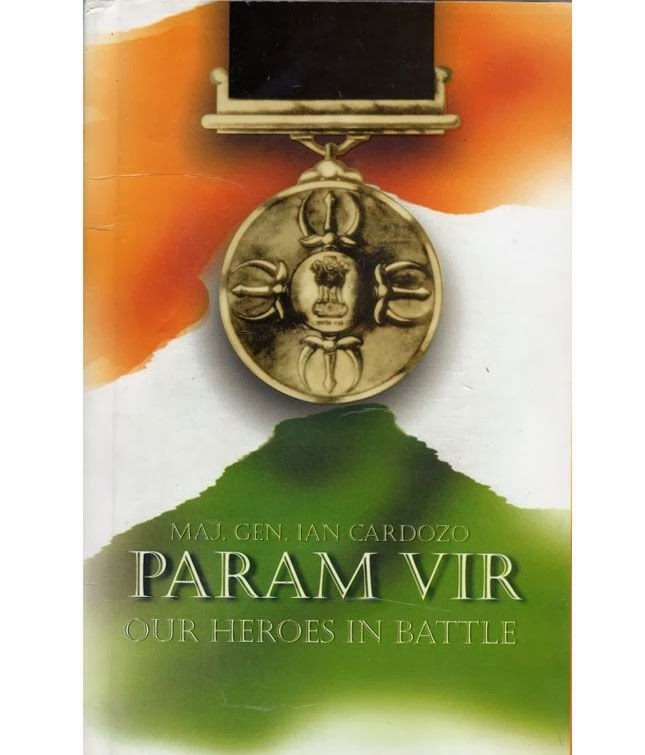 Taking this book as the foundation and guide and the nod from Major General Ian Cardozo, I wrote this poem from the view of the Param Veer Chakra so that the stories of valour of the bravehearts dont go unknown, unheard of. 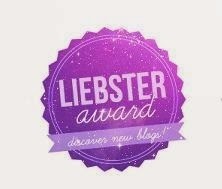 The medal which is given to the chosen few, the bravest of the brave. 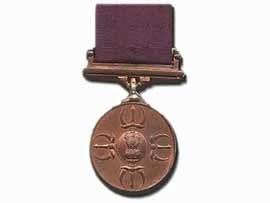 Since Independence only 21 soldiers have got this medal. This is my attempt to uphold the value which the medal stands for- courage. 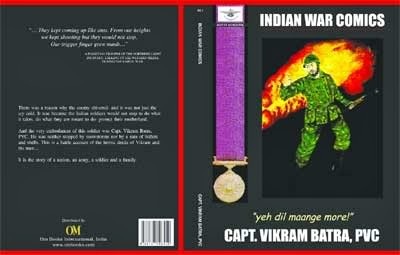 I weave all 21 stories of courage into one poem, feats of courage like no other, from Kashmir, Siachen to China, Pakistan to Bangladesh and the foreign shores of Congo and Sri Lanka. 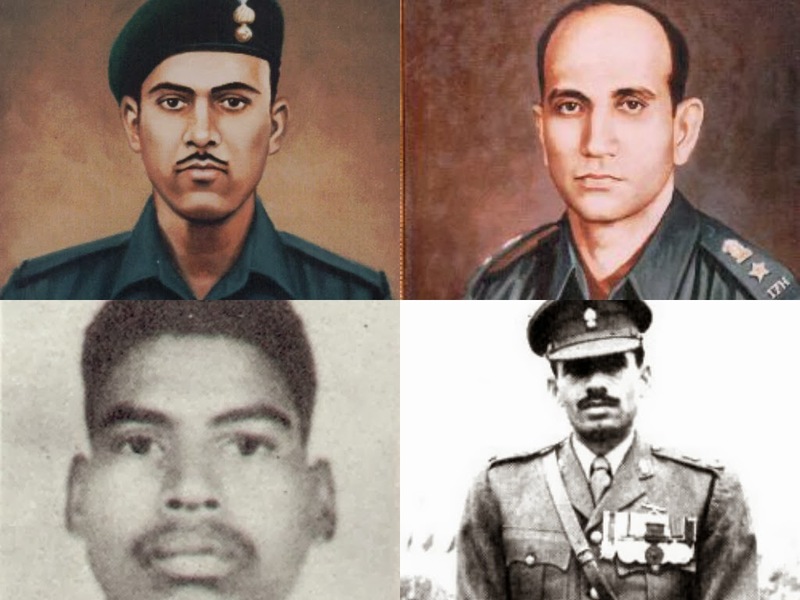 Here are the stories, their acts of valour and supreme courage....remember and honour the heroes. I am found in the leadership of Somnath Sharma who held his 90 men against a force of 500 at Badgam, laying markers and personally providing ammo to gunners under heavy fire . 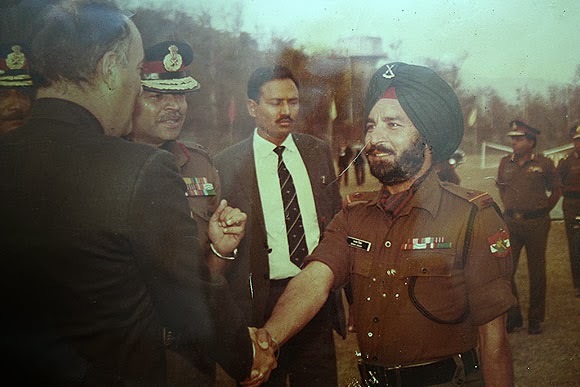 I am found in the determination of Piru Singh when he charged the enemy single handedly with his gun and bayonet, notwithstanding heavy fire and grenades at Darapari at 1100 feet. 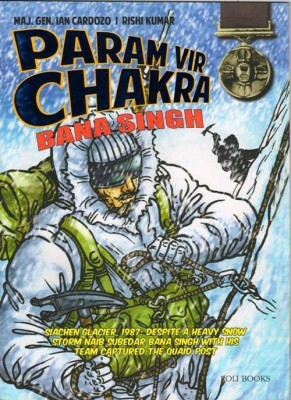 I am found in the air of Ritchmar Gali in which Karam Singh fought off 8 waves of attacks alongwith his men to seize the day. I am in the valour of Yadunath Singh who held off 3 attacks till the last man standing in the soil of Taindhar infront of 3000 attackers. I was in the superhuman effort of every minute of those nonstop 96 hours when Rama Raghoba Rane cleared the mines under heavy enemy fire and unmindful of his injuries , so that the tanks could move forward in Rajauri. I reside in the fire spewing light machine gun and the deadly bayonet of Joginder Singh at Bumla which held off 600 attackers despite being outnumbered. I am with the 34 comrades of Dhan Singh Thapa and his valour at Sirjap which held together the October of 1962 as long as possible. I am in the effort of every man at Rezang La whether it was death while still holding on to the rifles or preparing to fire a mortar. I salute Shaitan singh. I am in the lethality and determination of the Recoiless gun of the “Tank destroyer” Abdul Hamid which knocked down 7 Pakistani Patton tanks at Asal Uttar. I am in the grit of A.B. Tarapore so that he and his men could destroy 60 tanks in Chawinda. Find me in the heroism of Albert Ekka when he silenced the heavy machine guns with grenades and his bayonet to enable his company to proceed in Gangasagar. I lay hidden in the morale boosting ways of Hoshiar Singh and the MMG he commanded when he saved Jarpal. I am ever present in the tank of Arun Khetarpal which destroyed 5 tanks and yet refused to leave when the situation demanded. I live in the cockpit of the Gnat of Nirmal Jit Singh Sekhon when he took on the enemy Sabres head on against the odds of 6 : 1 and saved Srinagar. 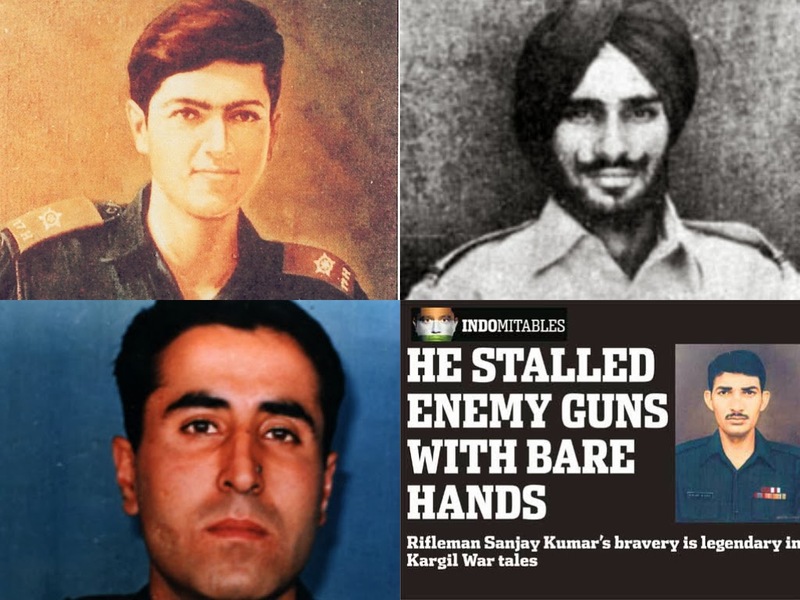 I reside in Kargill when Vikram Batra wanted “ Yeh dil maange more” and his daredevil act which paved the way for capture of point 4875 and turned the tide of war. I reside in the bravery of Sanjay Kumar when he cleared enemy bunkers despite devastating enemy fire and his own wounds in Mushkoh, stalling enemy guns with his bare hands. I am in every word of the war cry "Ayo Gorkhali" Manoj Pandey uttered while he cleared MMG bunkers in Kargil. Tiger Hill stands testimonial to the conspicuous courage of Yogender Singh Yadav in climbing the vertical cliff at 16500 feet and clearing the enemy in hand to hand combat and I reside in that courage. 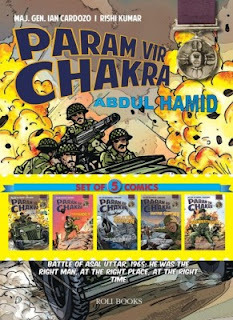 Discover me in the Khukri Assualt led by Gurbachan Singh for valour of the most exceptional order in Congo. Its not just that I reside in wartime, I am an ally to peace as well. I was in Sri Lanka when Ramaswamy Parameswaran took on the militants single handedly alongwith his unit. Find me in Siachen with Bana Singh in the elements at 21153 feet, chilling temperatures when he captured Quaid Post with lethal firepower so that the country remains safe. 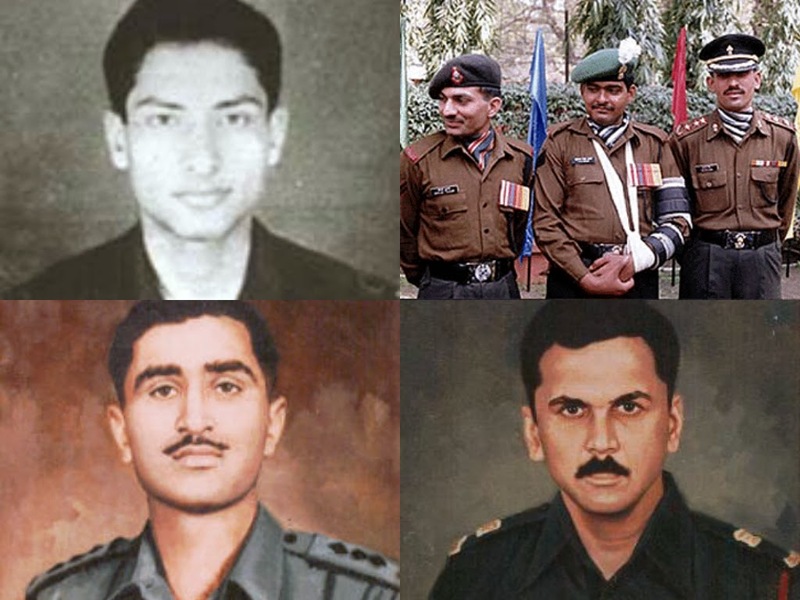 I honour these bravehearts who accomplished their task despite overwhelming odds. I am a witness to the saying that nothing supersedes courage... nothing at all. Coz courage is what makes one.. A veer.. A Param Veer. There is much more to this than these few lines dedicated to the bravery of these daredevils. 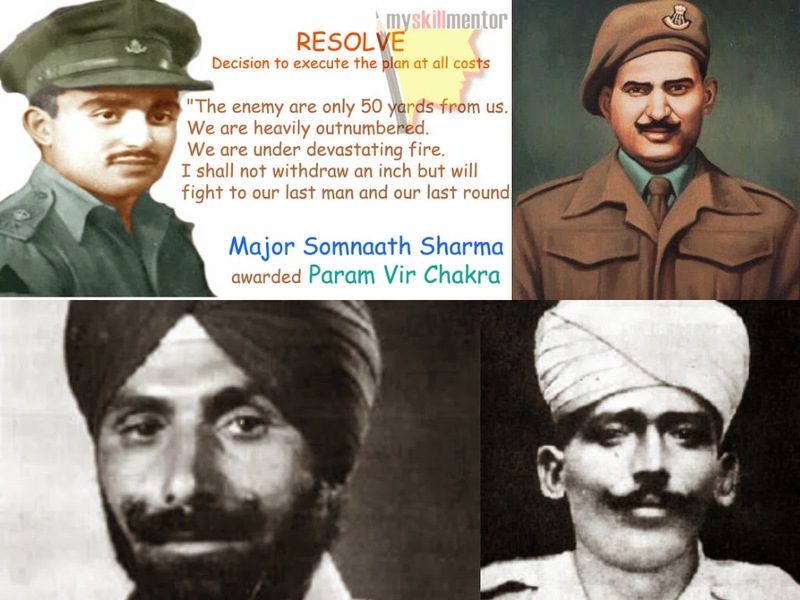 As you read more about them, you`ll understand the real situations in which these people held their ground and sometimes even fought till the last man and the last round saving India each time. 1. 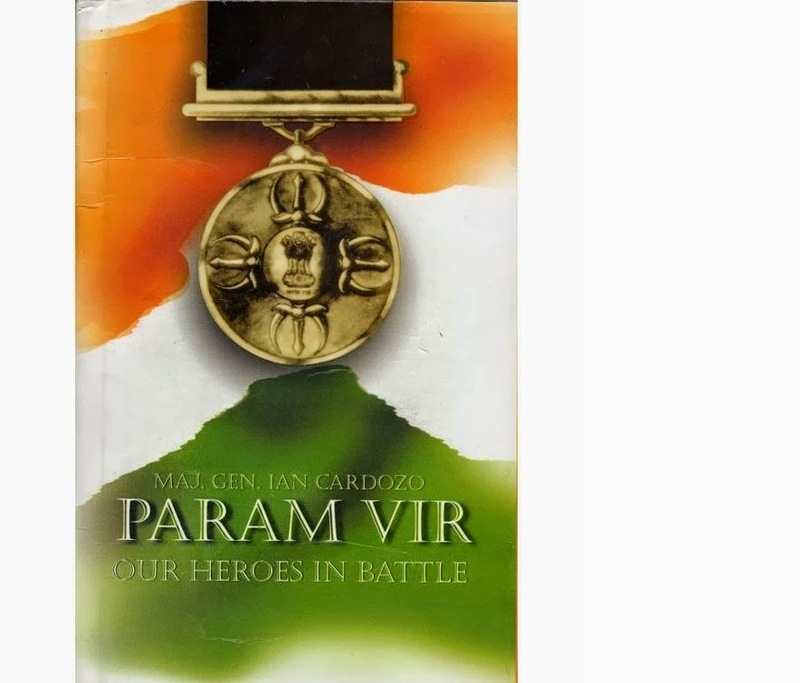 The book by Maj. General Ian Cardozo which was the basis of this poem. 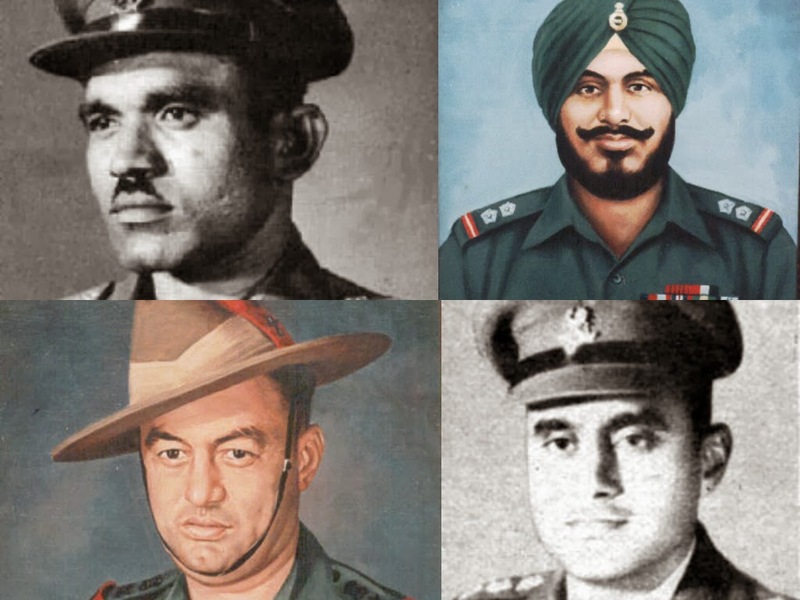 Read this to know more about the lives of these men and their tales of courage. So go ahead, indulge in these tales as these stories remain unheard, unspoken of and feel proud that these people are the reason we are breathing the free air. These men are the inspiration to their men, regiments and the country even today. Note: Book links updated as of July 2016. A very good effort in compiling the info and placing together.A tribute to our forces! नमन देश के सेना को.. ! I wish to thank you for your effort at bringing the spotlight on our Heroes! Our nation feels the requirement of our defence forces only when War threatens this nation-otherwise they require them to step in and take over problems that others cannot sort out! Kudos to you!